Disney movies have been my favorites ever since I was a child. 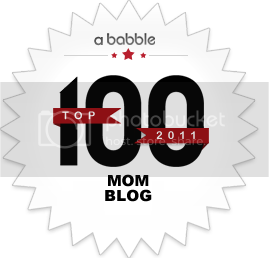 As a mom raising bilingual children, I have found another reason to love them even more. Their movies and television shows always have a Spanish sound track with accurate translations. Even the songs are in Spanish, not just the dialogue. Having children who are fans of Mickey Mouse, they were thrilled to receive Disney’s new movie Mickey Mouse Clubhouse: Space Adventure. This 45 minute movie had my boys exploring outer space while using their problem solving skills to help Mickey and friends in their intergalactic journey. Disney productions often include an educational focus. This movie is interactive because it requires young viewers to identify shapes, count, and use their memory. They are prompted to participate in the plot to help Mickey solve problems as he encounters problems on his journey into outer space. This entertaining video helps your child learn about space in a fun and educational way, and even better, they can do so while listening to Mickey Mouse and friends speak perfect Spanish. This giveaway is now closed. Congratulations to the winner: Cindy Lou ! 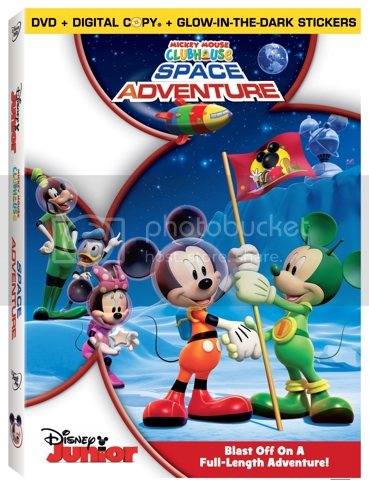 We’re giving away one Mickey Mouse Clubhouse: Space Adventure on DVD to one lucky winner. To enter just leave us a comment telling us who is your kids favorite Mickey Mouse Clubhouse character. This giveaway ends Wednesday, November 23 at midnight PST and is open to everyone with a U.S. mailing address over 18 years of age. Check out the Giveaway Rules. ¡Oye! : Read Early, Read ALOUD! I’m on your email list; that is how I found out about this giveaway. My daughter loves Minnie Mouse!!!!! My daughter loves Minnie Mouse and her adventures!!!!! My kids, especially my daughter, likes Mickey Mouse. My boys both love Mickey Mouse himself. We watch MMCH and do the hot-dog dance EVERY time. TMI?! 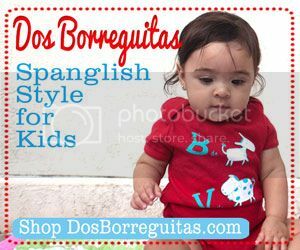 okay and I ‘like’ Spanglish Baby on Facebook! I am totally connected now!! We love us some Donald. sonia guerra´s last post ..I looooooooovvvveee Winning! I’m suscribed to your email list. I like Spanglishbaby in Facebook. My grandson loves Mickey Mouse. 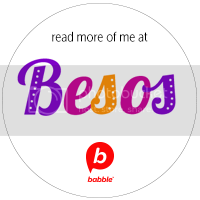 I follow you on twitter and here is my tweet.